We all know that lack of quality sleep has numerous detrimental effects on our day to day life and our overall health. 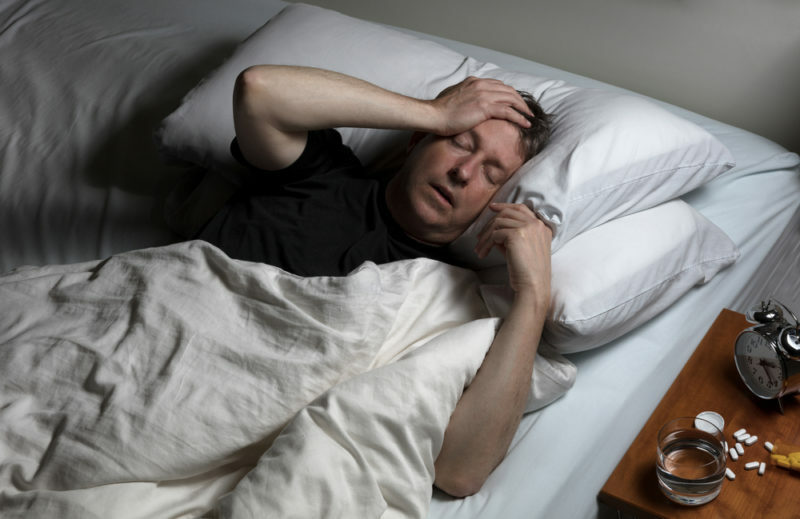 But, one thing you may not have realized is that lack of sleep can actually increase your perception of pain. Let that sink in for a minute… Less sleep can increase the intensity of pain or discomfort you’re feeling. We’ve all likely experienced a time when we’ve had difficulty falling asleep or staying asleep because of physical pain. But, you may not have thought that lack of sleep, regardless of the reason, can increase the levels of pain you feel in the coming days. The unfortunate reality is that it can then become more difficult to get quality sleep because of the pain you’re feeling. And a vicious downward spiral begins. So, how and why are sleep and pain connected? These two vital functions interact in complex ways that ultimately impact you biologically and behaviorally. Because this topic is rather complex, we’ll be breaking it down over several blog posts. Studies suggest that reduced sleep time is associated with increased pain sensitivity, and an interaction between sleep and the brain mechanisms of pain perception. In other words, sleep disturbances seem to impair key processes that contribute to the development and maintenance of persistent pain. Here’s another element to the sleep and pain problem. Stress can make pain feel more intense. It can also make it more difficult for you to fall asleep and stay asleep. And…pain isn’t just a stress response, but a stressor in and of itself. Now you have the sleep, pain, stress triad. 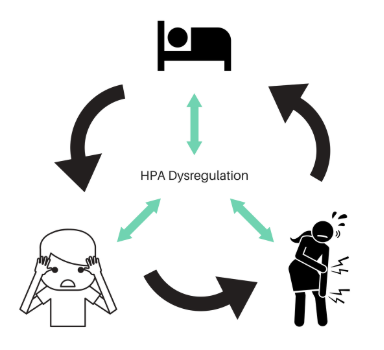 A brief note about HPA dysregulation. HPA stands for the hypothalamic-pituitary-adrenal axis. It’s a set of three systems: the hypothalamus, the pituitary gland, and the adrenal gland. It’s a neuroendocrine system, meaning that it deals both with the brain and hormones. The HPA axis is involved with regulating a number of body processes, including stress response, digestion, immune system, mood and emotions. Stress activates the HPA axis and sets off a cascade of neuroendocrine signals that ultimately leads to the release of hormones and neurotransmitters. Frequent or ongoing stress can disrupt the normal stress response, which can then further disrupt sleep and pain. And there you have yet another layer of complexity to how sleep and pain are connected. So, now you know that lack of sleep can mean feeling more discomfort and pain, and you know that it’s a complex process. Now, how do you begin making some improvements in these areas? Bra 101 – Fit Matters! All you need is love. But a little Vitamin D doesn’t hurt.